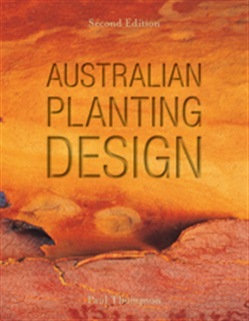 Australian Planting Design identifies and explores all aspects of developing better planting designs on any scale, raising awareness of the essential elements and encouraging readers to look with fresh eyes, to create anew. This new edition guides the reader through all the stages of designing a new garden and helps to visualise the garden through an understanding of space, light, earth form, structures and vegetation. It discusses the choosing of plants, their form and shape, balancing plant types, fire and vegetation, design and form. The final section of the book looks at the dynamic garden and the importance of designing for change. Australian Planting Design focuses on how Australian plants may be used in gardens, whatever their size, function or site. It shows the way to use our plants to form a variety of satisfying, interesting and purposeful areas for both people and nature. As the availability of a much wider range of Australian plants grows, so too does our understanding of their qualities and habits. Our changing ecological attitudes and broader understanding of local habitats have brought the Australian landscape into sharper focus and we have gained a new appreciation of its value for design expression. We are beginning to develop an urban landscape that belongs to the land, and garden designs that are more suitable to the environment of tomorrow. At last we have Australian plants for Australian places. Acquista Australian Planting Design in Epub: dopo aver letto l’ebook Australian Planting Design di Paul Thompson ti invitiamo a lasciarci una Recensione qui sotto: sarà utile agli utenti che non abbiano ancora letto questo libro e che vogliano avere delle opinioni altrui. L’opinione su di un libro è molto soggettiva e per questo leggere eventuali recensioni negative non ci dovrà frenare dall’acquisto, anzi dovrà spingerci ad acquistare il libro in fretta per poter dire la nostra ed eventualmente smentire quanto commentato da altri, contribuendo ad arricchire più possibile i commenti e dare sempre più spunti di confronto al pubblico online.